Raisin came into us a year-old puppy. 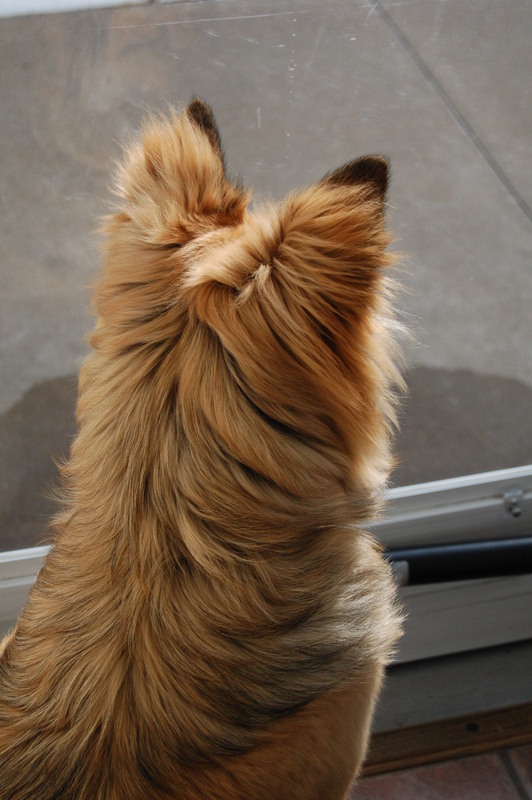 Her owners’ idea of housetraining her was to leave her on a balcony all night. One night they awoke and Raisin was not on the balcony but rather on the ground below unable to move. They brought her to the APL. Both Raisin’s front legs were broken. An APL vet tech offered to foster Raisin while she recovered. Unfortunately, the break in one of Raisin’s leg was so severe it became infected and the decision was made to amputate the leg. She was up and walking that same day. After some more TLC and time to heal in her foster home, she came back to the APL and went up for adoption. 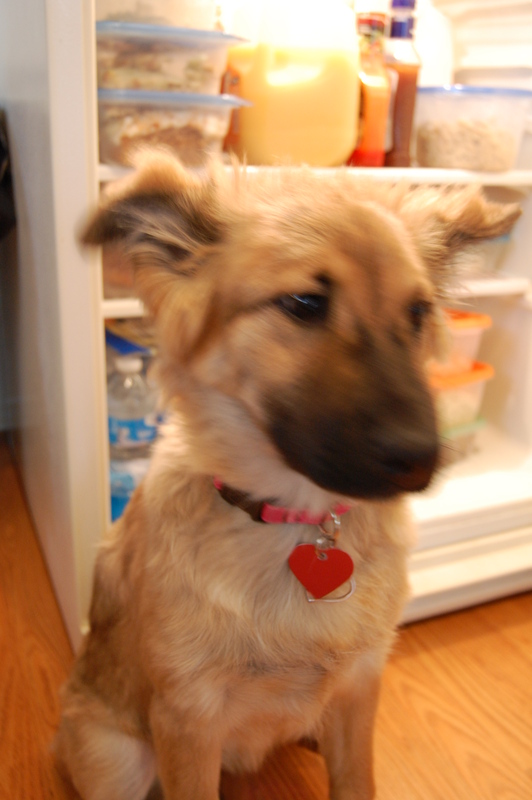 She is now Zoe and lives with her loving mom and dad and canine sister, Maggi, who she adores! 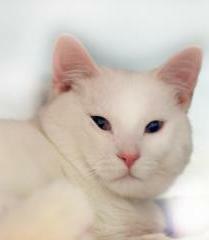 Simon was brought in to the APL by a Good Samaritan after she noticed he seemed to be in pain and wasn’t walking well. He was a stray cat and likely hit by a car, although the cause of injury is unknown. 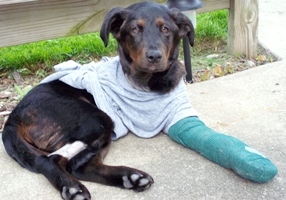 He came to us with a fractured pelvis and left femur and a dislocated hip. Simon required multiple procedures—he had a pin placed in his leg and had another very complicated orthopedic procedure done. Simon was with us for 7 months while recovering from his injuries (much of that time was spent in a loving foster home). 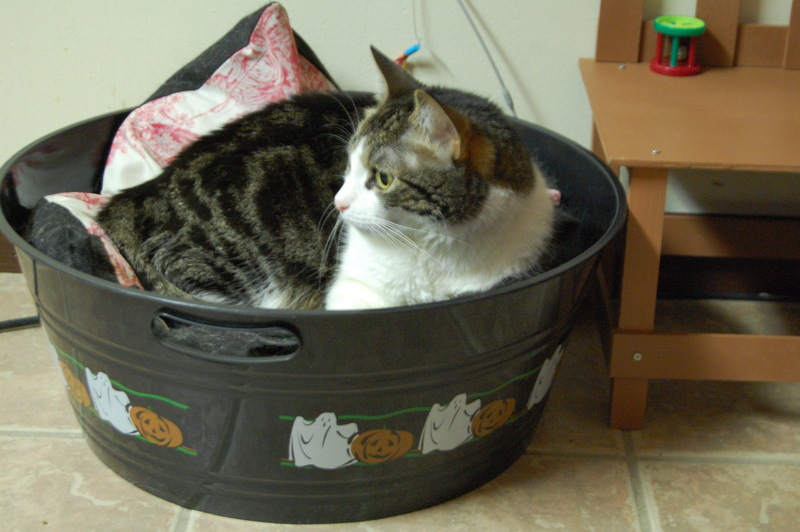 Despite all of his injuries, he was a very charming cat and he quickly became a favorite of staff and volunteers. YOU CAN STILL DONATE! Call 216-566-7387 and tell them you want to make a donation under NIKITALAND, and add it to what we have already collected for the APL. WE ARE CHALLENGING YOU to help us reach our goal of $1,000 and we are at 54% to accomplishing our goal to help the animals at the APL. And it’s not too late to help, because Springtime’s warmer weather means more breeding among dogs and cats who haven’t been spayed or neutered, and that means that the APL will be needing our help. Because of the support of good people like you, we can help those animals get the much needed care they need – together, we can make it happen! We want to thank those of you who have already donated for your generosity and love. We appreciate your donation! 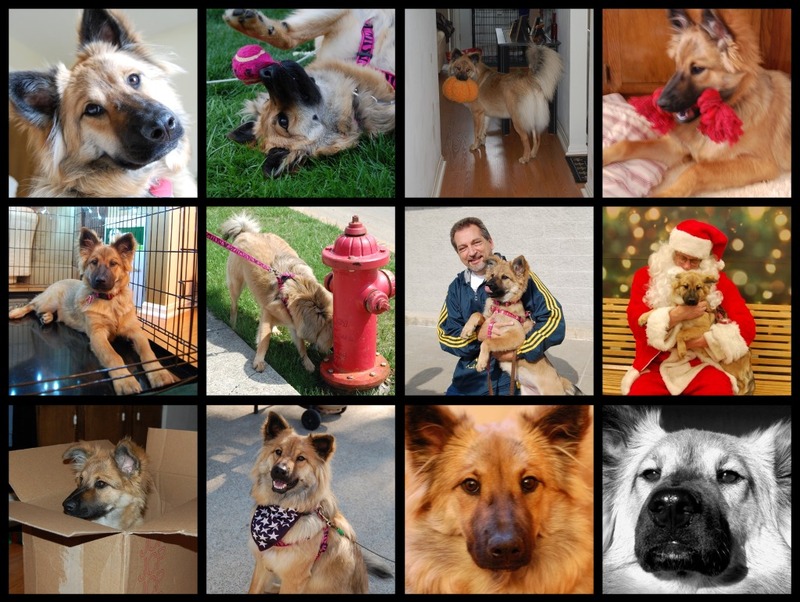 Hi, my name is Breanne Alcox and I was Nikita’s foster mom. I just wanted to say how much I love your site. Nikita and her brother, and sisters, came to me at 14days old when their mother died of poisioning. I had to feed all 7 puppies (1 boy and 6girls) every 1.5 hours throught the day/night. They all fought hard to live, and made it through some hard times. I feel so blessed to know she found a great home with your family. It puts my heart at ease knowing she is truely loved. I will watch your site to see what an amazing dog she turns out to be. Thank you again…she was loved be me and my family, and now by yours. What a happy ending it is! I remember that day I was adopted as it was so vivid. My new Daddy & Mommy arrived at PetSmart that day just to buy kitty food, but they saw that the APL was holding a pet adoption outside, so they went over to see all the kitties and puppies. They spotted me with my other siblings, just running around looking adorable, and they picked me up – – that is all it took, as they were hooked. They set me back down for only a few minutes to talk amongst themselves, then they turned back around, picked up me and did not let go of me. I knew I was going home that day. The only thing that Daddy & Mommy felt bad about (but not for too long) is that another couple was eyeing me up that day, and if they did not act quick and pick me back up, I would have gone home with someone else. Glad they acted quick and picked me up. 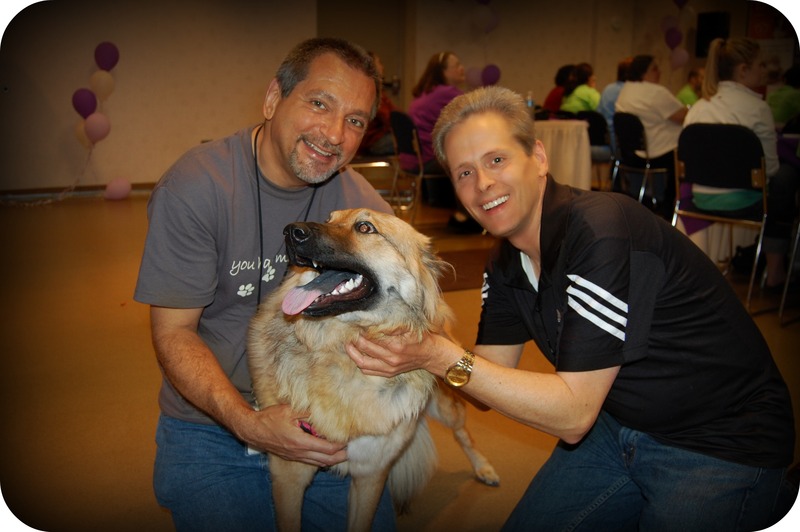 Next, is when Daddy and Mommy met Dave from the APL. Dave is now called “Uncle Dave” in my book as he is the greatest! Dave helped Daddy fill out the adoption paperwork and he was so glad that I found a new home. I remember that a few months after I was adopted, we went back up to PetSmart to meet Uncle Dave so he could see how big I got. What a great reunion! I even did tricks for Uncle Dave so he could see how smart I was. I was performing for him like there was no tomorrow, sit, shake, down – – I did them over and over for him. Anyhow, after all of the paperwork was completed, I was ready to go home, but first we needed all the supplies for a new puppy as Daddy & Mommy did not have these at home. I still laugh that they were just heading up to PetSmart for kitty food, and came home with a puppy! So, all three of us went into PetSmart to get our supplies, this is how we met Jane, a super nice employee at PetSmart. Jane gave us our new puppy packet filled with coupons and pamphlets and she walked around the store with us and helped us pick out all the essentials that I needed. I got a new cage that day, some toys, good healthy puppy food, picked out a new collar & leash (got those in pink, of course), and I remember how tired I was from the long day I had, and Mommy placed me on top of the box of my new cage that was ontop of the shopping cart. That is where I fell asleep while they walked around the store and everyone who saw me up there sleeping, said “Awwwww”. 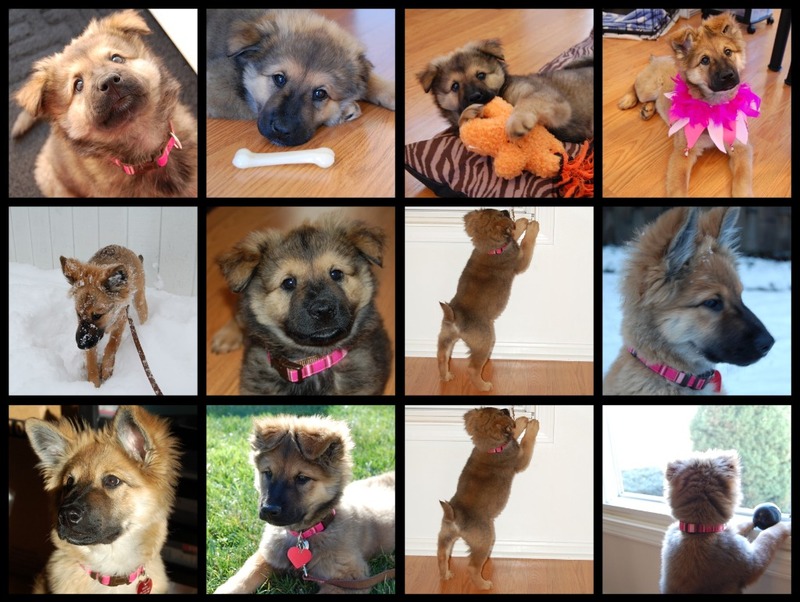 I was a cute puppy that is so true, and I am now one adorable dog, one year later! After we got all the essentials for me, Daddy remembered that he almost forgot to get the kitty food that they originally came to the store for. Phew, glad he remembered! Now, it’s time to head home…what a good thought, HOME. I have a new home. A place that I can call my own, a place where I will be loved, a place that I feel safe, and a place where I can lay my head down to sleep every night filled with happiness and lots of memories. I sat on Mommy’s lap on the ride home and was a little scared, but that soon passed because I love car rides now. We arrived home and Mommy placed me down on the ground and told me “This is your new home” and I ran out onto the grass and had my first pee! WOW, this is home, as I have marked my territory. Of course, Daddy had to phone Grandma to tell her of my arrival, and Grandma jumped in her car and headed right over. Grandma picked me up and gave me lots of hugs and I fell in love with Grandma that day. We played outside most of the afternoon, then went inside so I could watch my first Browns game. 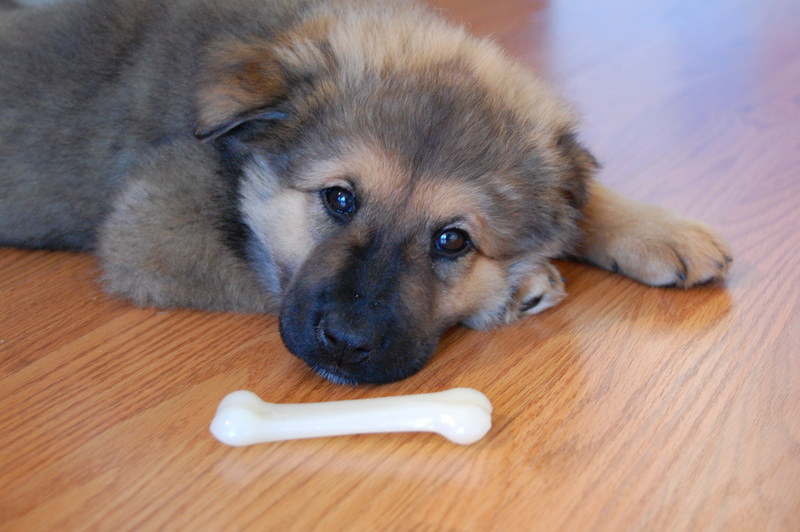 (they lost, of course) The afternoon just flew by and I was one tired little puppy. My first day in my new home, with lots of trips outside to pee, but when I went to bed in my new cage, I crashed. From my first day in my new home and every night that I slept in my cage, I never cried or wimpered, I was happy….I was home. 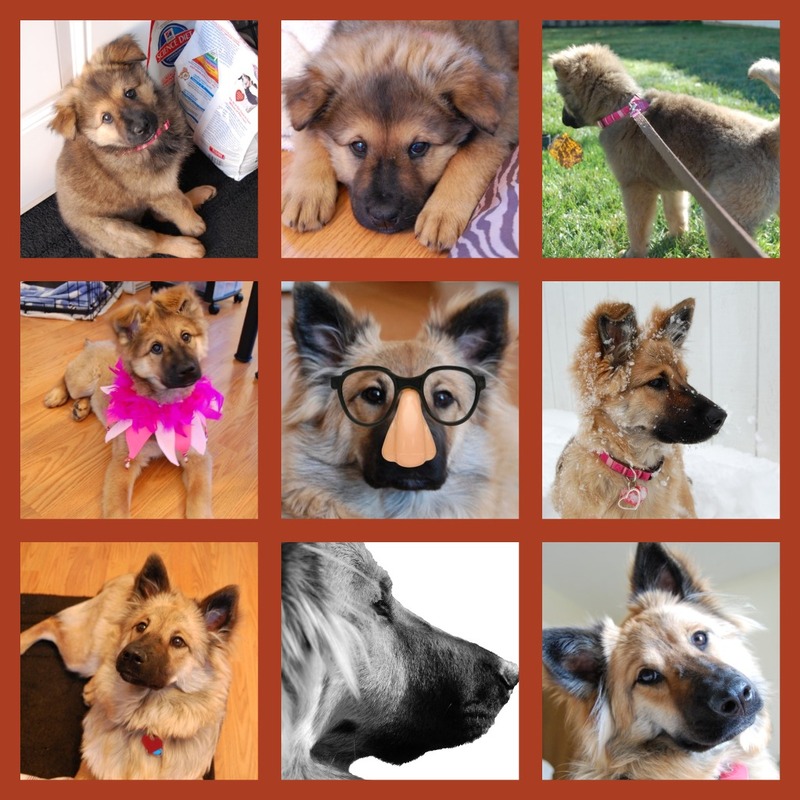 I have so many memories in this year that has passed, and was happy to share them all with you in “A Day in the Life of a Puppy Named Nikita” as my blog will be a year old tomorrow on September 14th. I have so many “firsts” in this past year that are quite memorable, from the first time I saw my reflection in the oven door & growled, to my first Halloween & costume & meeting my first animatronic prop in the kitchen, my first Christmas and meeting that chubby guy in the red suit, to crawling into the dishwasher to lick the dishes & spoons, to losing my first baby teeth, all of which are memories that I will never forget. Thanks for following me and watching me grow up this past year, as I am sure that I will have many more stories to tell. Enjoy the following photographs of me growing up & thanks to everyone who I have met along the way and all the wonderful people at the Cleveland APL to whom gave me a chance at life and happiness, and of course, to my Daddy & Mommy who took the chance on me and gave me love, good food, tons of toys, and lots of happiness. I love you all! Hey everyone, it’s me, Nikita! 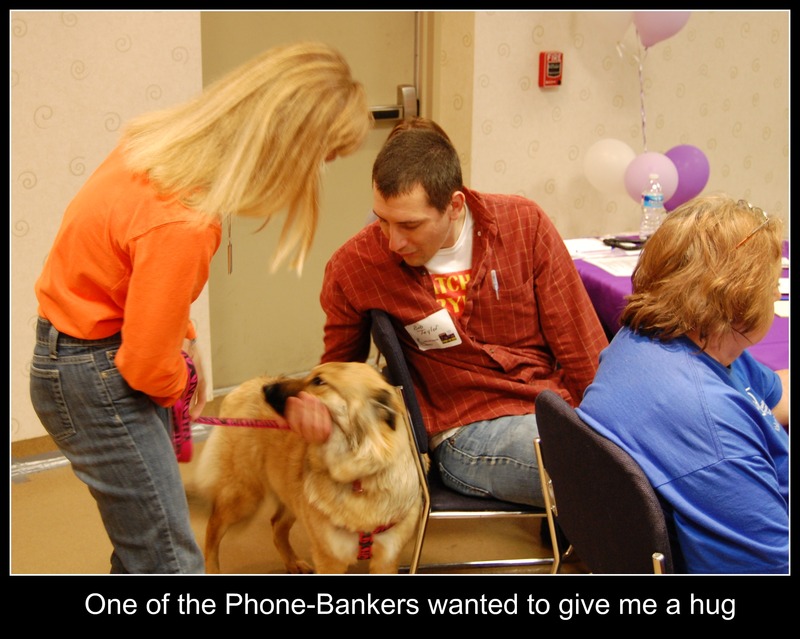 It was all about the pets… from every shape and size, doggie, kitty, bunny, or birdie, the 2011 Pledge for Pets Radiothon came to a close on Saturday, May 14th. 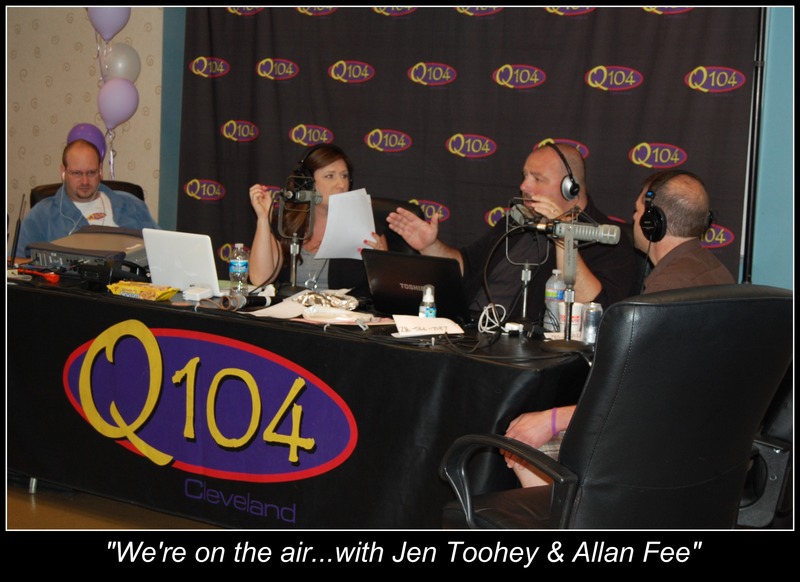 Jen Toohey and Allan Fee from Q104 were the on-the-air radio personalities that hosted this event at the Cleveland APL and helped raise donations that totaled $124,745.52! That is absolutely outstanding and this money will go to such a great cause, helping all of the pets in need that can’t help themselves. You see, all of these pets at the APL were either rescued from horrible conditions or were surrendered by their owners because they could not take care of them any longer, and all of your donations will help with their much needed medical care, food, water, and electricity for the building, and so much more. EVERY animal needs a second chance for love and a good home, EVERY animal at the APL has a story behind them (just like I do, as I was adopted from the APL and got a second chance for love & a good home), and their stories are heart-breaking as you listen to them. 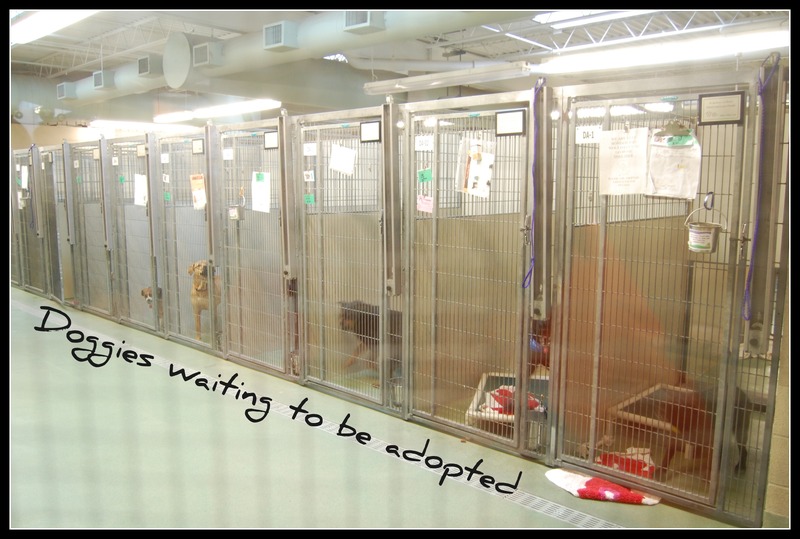 You want to adopt them all, you just do, as every pet that the great people at the APL takes care of, they get attached to them so quickly, which is understandable because they are pet lovers with great big hearts! I could not be happier with my new home & life with my Daddy & Mommy, and I got that chance for happiness the day I rode home with them & was sitting on my new Mommy’s lap. I was going home…. to somewhere I would be loved, cherished, taken care of, played with every day, fed, and always knew that a spot would be saved for me at the foot of their bed for me to snuggle every night when I closed my eyes. Pure happiness is what I got! 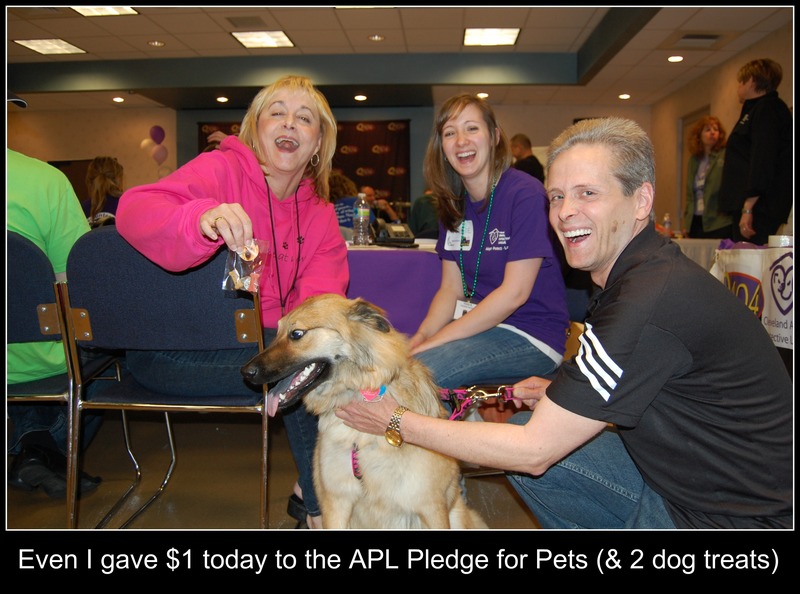 Daddy, Mommy & I made a surprise visit to the APL on Saturday to check out the Pledge for Pets Radiothon. We met a nice guy from the APL in the parking lot and he remembered me when I was a little puppy and said that he remembered me “smelling like fish”. (not sure what all that was about, but why did I smell like a fish? ) We also got to meet Jen Toohey and Allen Fee from Q104 (we even got to meet Glen Anderson on our way out, he’s the funny song guy at Q104) and Glen’s little cutie of a daughter even got to pet me! 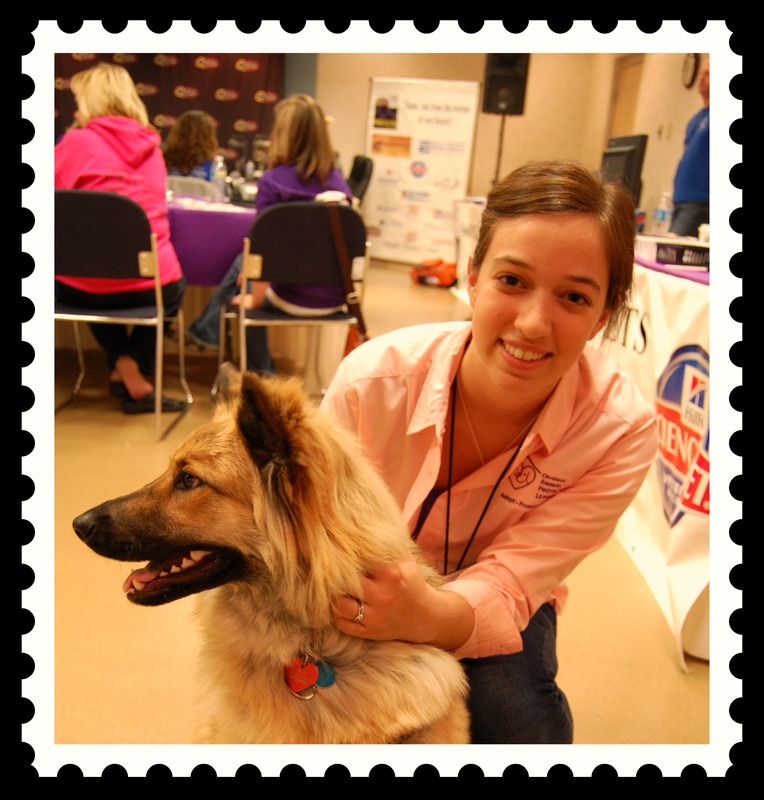 When we walked into the room where the Radiothon was set up, I heard a voice say, “Nikita“! Man, everyone knows me at this place! I got to see all of my favorite APL friends, from Judy Hunter, to Sharon Harvey, my Foster Mom Brea, Uncle Dave (Dave was the nice guy that helped Daddy & Mommy adopt me, that’s why he has a special place in our hearts) and many others that just reached out and hugged me and was surprised at how big I got. We hung around for awhile to watch the Radio Show live and it was the neatest thing that we ever experienced. Some of the “Phone Bankers” that were taking the calls for donations even wanted to meet me, so I gladly strolled over to them, strutting my stuff (of course) to receive lots of hugs from them. 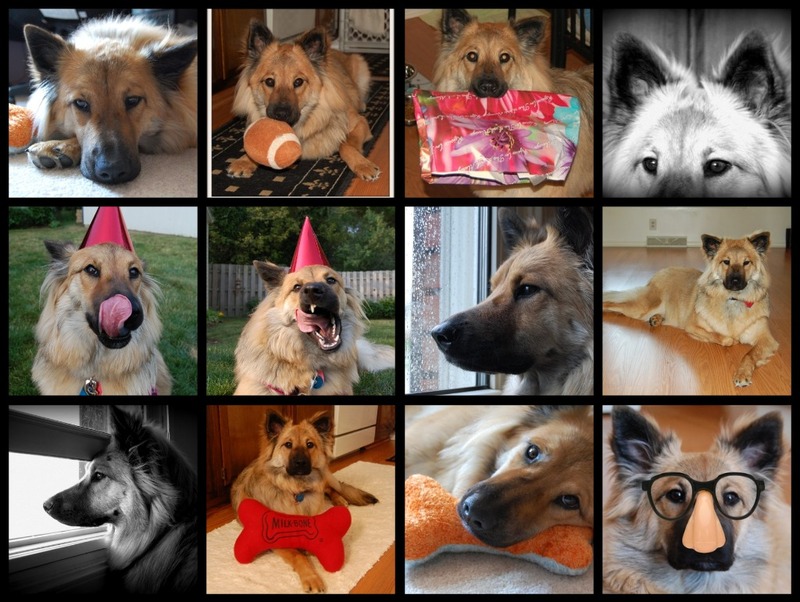 I even passed out lots of my blog cards to everyone that I met, so that they can now follow me and watch me grow up! (One cannot have too many friends, or followers) I even donated $1 and 2 puppy treats in a little bag to one of the Phone Bankers (even though I sniffed the bag a few times and kinda wanted my treats back), but I wanted everyone to know that Daddy, Mommy, and I personally collected for the APL a total of $174 + my $1 = $175 and we did our part as a Pledge for Pets Captains. Every little bit helps and I wanted to personally thank all of the people who donated through our First Giving link for the APL – WE APPRECIATE YOUR DONATIONS & GENEROSITY! All in all, it was a great day for the APL, as your generous donations will make a difference in the care and welfare of a pets life, and ultimately….finding them a “Forever Home“. Thank you APL for all that you have done for me, you will forever be in my heart! When I look back at some of the silly things that I did, don’t do now, & still do, I chuckle at myself. I “still” sniff in the fridge when Mommy or Daddy open up “that BIG white thing” because everything smells awesome to me, I “still” lick everything (and I mean everything) in the dishwasher when the door gets opened, I “don’t” accidentally pee in the house anymore (phew, Mommy says), I “do” bark out the front window when I hear another dog barking, I “still” bark at the towels hanging on our neighbors clothes line, I “will always” bark at garbage cans & the garbage man, I “still” love our UPS guy as he always gives me hugs and kisses when he stops by the house for pickups, I “have never” chewed up anything in the house that was not mine, (except I did take Mommy’s slippers a few times, until I was caught) I “still” love going bye bye in the car, I can do tricks “without” a treat (but would prefer them if you’re offering), I “still” love to be vacuumed, I “now” think that the BBQ container is out to get me, and I “always” have to sleep with my squeaky bone. 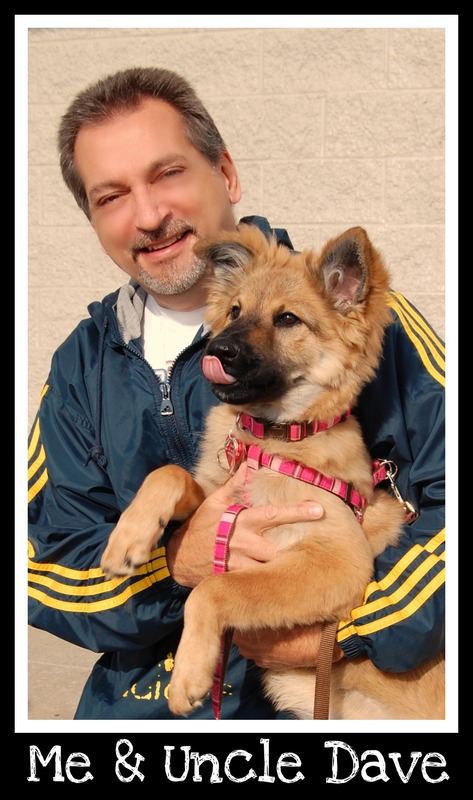 DOGGY DOLLARS & KITTY KASH – Donate today to help assist the Cleveland APL raise money! I just read some horrible news online about the Cleveland APL, as it appears that a dryer motor caught fire this morning and exposed approximately 100 cats to noxious smoke. The smoke alarm traumatized the cats, but none of them were injured. 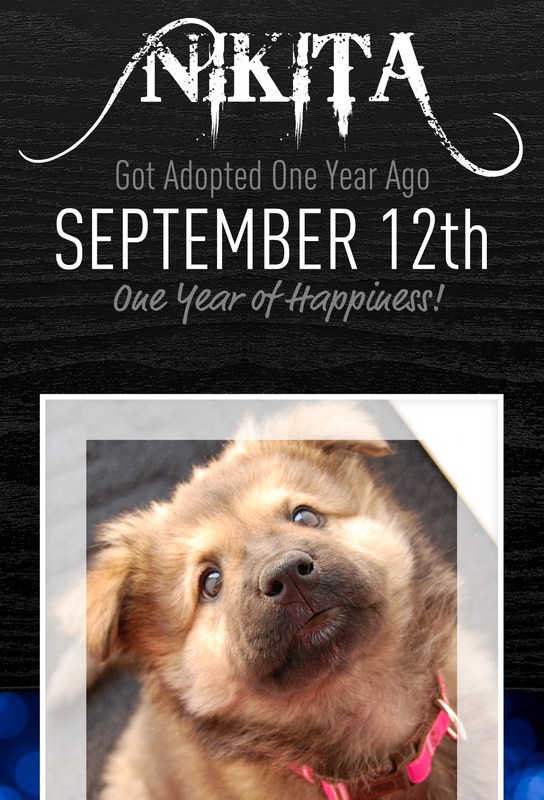 HELP US RAISE MONEY FOR THE CLEVELAND APL! We just signed up to be a supporter for the “Doggy Dollars and Kitty Kash” to help raise money for the Cleveland APL’s annual fundraising event. We need all of your help to collect donations for all of the animals that have been rescued, when someone left them on a roadside, or in a box somewhere sick and scared, just because they did not want them any longer. Do you ever watch those commercials of the rescued animals, and cry and wonder how you can help? You can today! Give this link to EVERYONE! Your family, your friends, your co-workers, your neighbors – Every donation, no matter what the dollar amount, helps an animal in need! 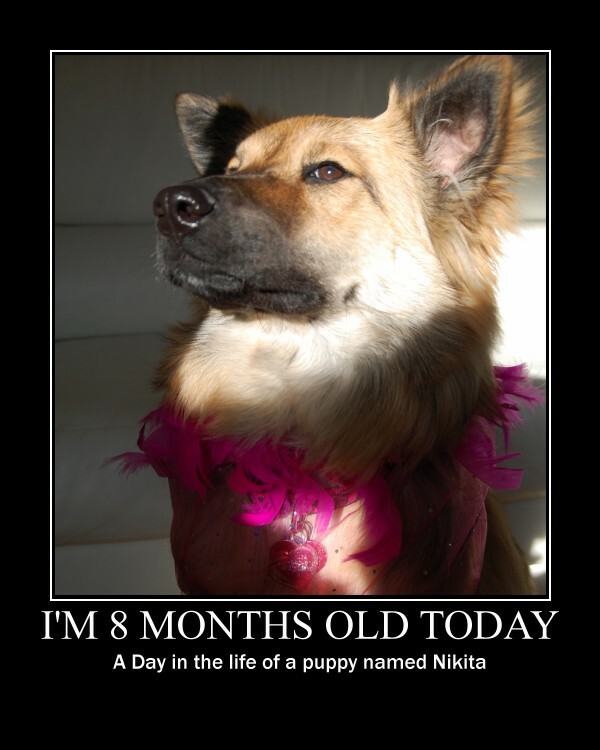 By donating through the link above, the APL will know that Nikita sent you! 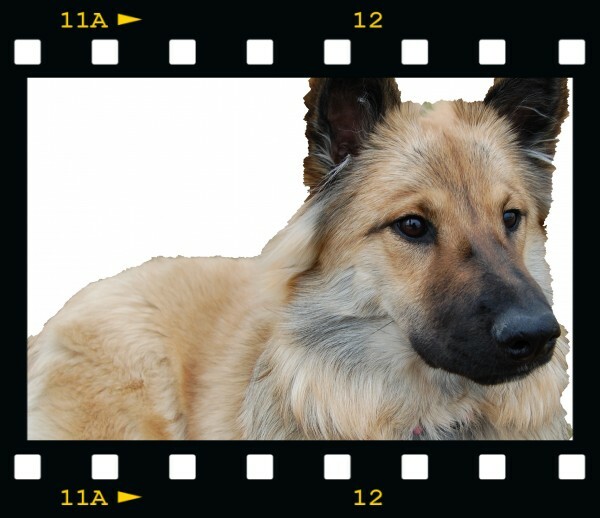 **FELLOW BLOGGERS**: Please post the donation link on your blog today and help us raise money for the APL. A GREAT BIG THANK YOU IN ADVANCE FOR YOUR DONATION! I just heard the news from Mommy that we are taking a “Road Trip” next week! YIPPEE! Hey wait a minute, is this another trip to the VETS? I hope not! Oh wait, Mommy just clarified this for me and this is actually a good road trip as Daddy, Mommy and I are heading down to the Cleveland APL to visit everyone there! YEAH, I so can’t wait because I get to see my Foster Mom and say hi and to show her how big I am now and to tell her all about how well I am being taken care of too! Christmas is the time we all have kindness in our hearts and get all caught up in the holiday spirit. 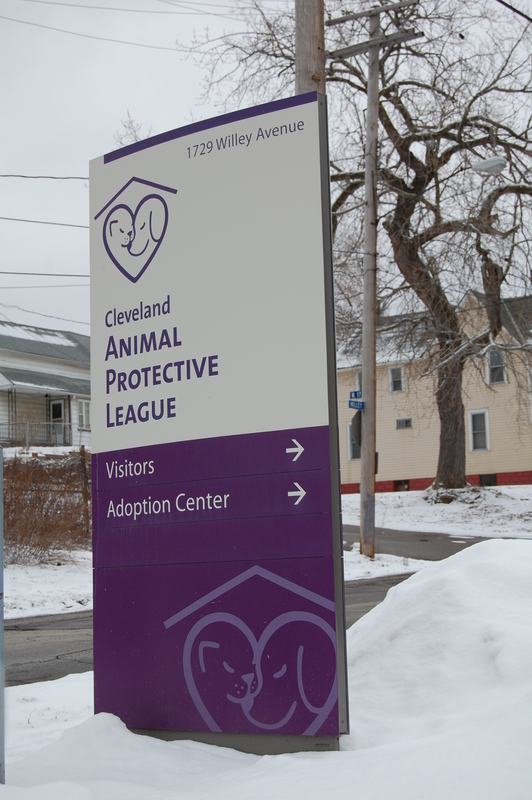 But, not only during the holidays does the Cleveland APL need your help. They are in need of some much needed items to help take care of all the little puppies & kittens in their care. You can do your part and donate any of the items listed below: Cleveland Animal Protective League, 1729 Willey Avenue, Cleveland, OH 44113 216-771-4616 www.clevelandapl.org | Tell them Nikita sent you! Powdered Kitten Milk Replacement Formula (KMR) sold at pet supply stores. Needed for infant kittens that require bottle feeding. Powdered Puppy Formula or Esbilac formula. Needed for infant puppies that require bottle feeding. Canned puppy & kitten food in unopened cans. Prefer premium brands.